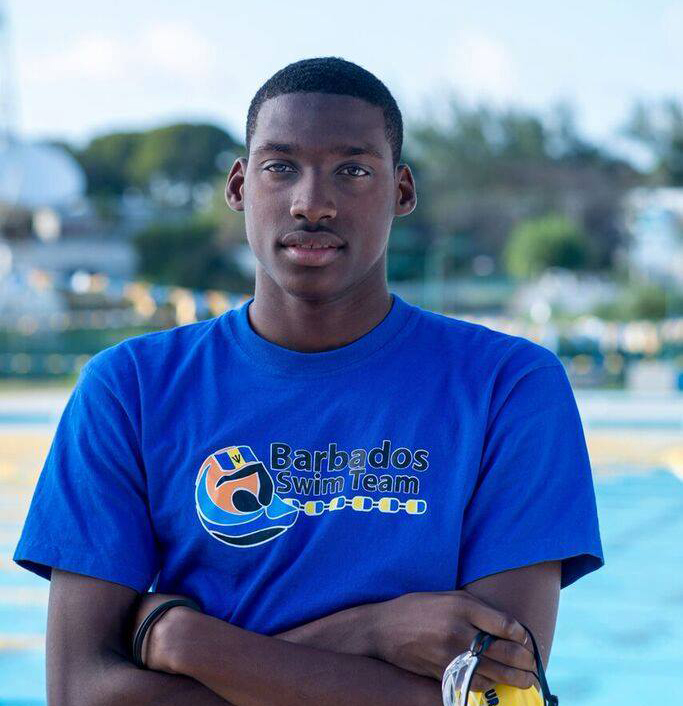 Team Barbados Rio 2016: Alex Sobers (400m Freestyle) – Barbados Olympic Association Inc.
Alex got started in the sport in 2004 at the age of 6. He has been encouraged throughout this period by his parents. In 2011, he attended CARIFTA where he won Gold in the 200m Butterfly, Silver in the 200m Freestyle and Bronze in the 400m Freestyle. Alex’s first multi-sport Games was the 2015 Pan American Games in Toronto, Canada where he competed in the 200m, 400m, and 100m Freestyles. At these Games he made it to the B finals in the 200m and 400m. This year Alex also achieved the B qualification time for the 400m freestyle at the just concluded Caribbean Islands Swimming Championships. Alex’s role model is Ryan Lochte, his favourite color is Blue and he loves to listen to Dancehall music. His favourite artiste is Popcaan.